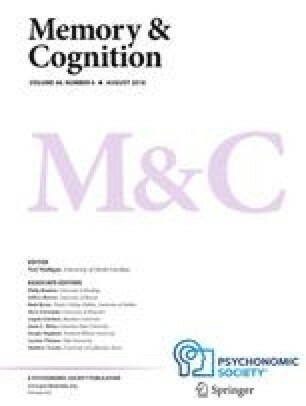 The extent to which phonological similarity of list words impairs short-term-memory recall was investigated in two experiments. Experiment 1 showed that the phonological-similarity effect occurred both when list words were repeatedly sampled from a small set and when they were new on every trial, both when word-order information was required and when it was not. Furthermore, the adverse effect of phonological similarity on recall was apparent on the initial lists recalled, did not change over trials, and cannot be attributed to increasing levels of proactive inhibition across lists. In Experiment 2, subjects were required to count repeatedly to six during list presentation. Concurrent irrelevant articulation lowered recall and abolished the phonological similarity effect for both repeated and novel word lists. This research was supported by aMURG grant to Veronika Coltheart. Preparation of this paper was supported in part by research facilities generously provided by the M.R.C. Applied Psychology Unit, Cambridge, England; the research discussions and support offered to visitors by Alan Baddeley, Karalyn Patterson, and their colleagues are gratefully acknowledged. The research assistance of Judi Leahy and Nancy Dal Cin is gratefully acknowledged.